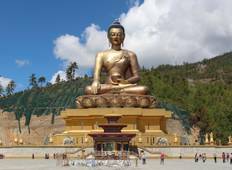 Find a Discovery trip that explores Bhutan. There are 26 tours to choose from, that range in length from 4 days up to 16 days. The most popular month for these tours is October, which has the most tour departures. "The tour was great but we were disappointed that the local company changed the accommodation..."